The acquisition of Jimmy Butler, left, has sliced the Sixers odds of winning the NBA title more than half in some sportsbooks. Know who else likes the Jimmy Butler trade? The bookies. 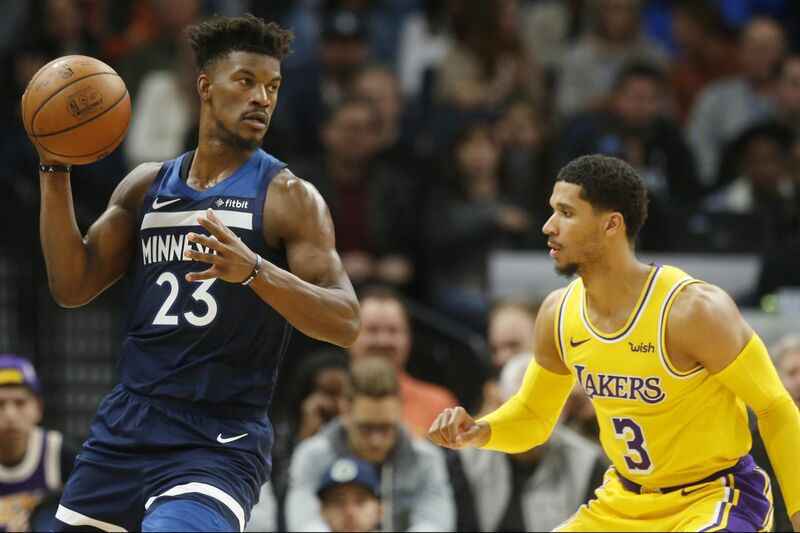 The Westgate SuperBook in Las Vegas dropped the Sixers odds of winning the NBA title from 30-1 to 16-1 after news that the fellas acquired Jimmy Butler from the Minnesota Timberwolves. "I like the deal for Philly," said Jeff Sherman, Westgate's sportsbook manager. "I don't think they gave up much at all and added a solid veteran to keep defenses more honest." The Sixers sent Dario Saric, Robert Covington, Jerryd Bayless and a second-round pick in 2022 to the Timberwolves. The Sixers also get 7-footer Justin Patton in the deal, which is expected to be finalized Monday. William Hill-US, operators of the sportsbook at Ocean Resort in Atlantic City, lowered the Sixers' title odds from 20-1 to 15-1. PlaySugarHouse.com, which has online betting in New Jersey, dropped from 22-1 to 12-1. "This trade should make the Eastern Conference more interesting as the Sixers should have a shot to compete with the Raptors and Celtics," said Matt Stetz, COO of Rush Street Interactive, which runs the SugarHouse's mobile site. "From a betting perspective, a more competitive conference is more interesting to bet on."